This post is from my former blog site and was originally published on 9/21/10. A neighborhood cat loves to dig in my petunias and take naps. 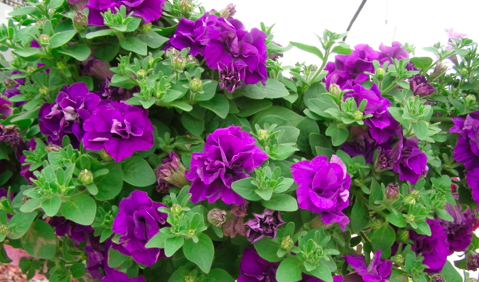 Unfortunately, this does little to enhance the beauty of the petunias. More often than not, the petunia stems are dug up by the sleepy feline and tossed from the container to make room for a doze. The other day, I found a tossed petunia stem and simply placed it back on the dirt in the container. I was hopeful it might survive to some degree.Imagine my pleasant surprise when a day or so later, I found a blooming flower on the damaged petunia stem.There it was, a beautiful pink flower, hanging on to life by a thread, but surviving–determined. We all have seasons in our lives when we feel like we have been dug up and tossed aside. I am thankful to have friends and family who care enough about me to pick me up when this has happens and help place me back in my container or even into a new container where I can continue to thrive and bloom. Our kids deserve that same type of support. They may not know how to tell us they feel like they have been dug up, let alone tossed, but as their parents and teachers, as the ones who care, it is up to us to be there when our kids need to be replanted.